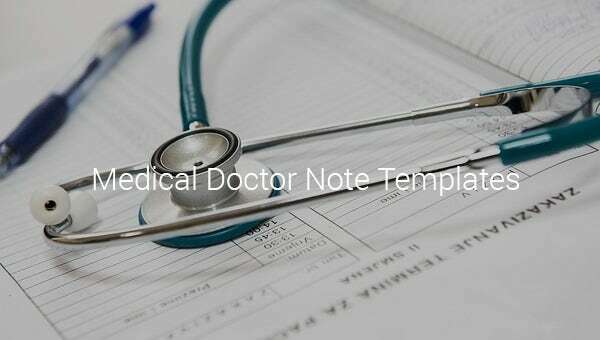 Medical Doctor Note Template – 8+ Free Word, Excel, PDF Format Download! A note from the doctor can get you out of trouble quite fast. It gives a good reason for being out of school, and it explains why you have not been at your workplace for a given time. 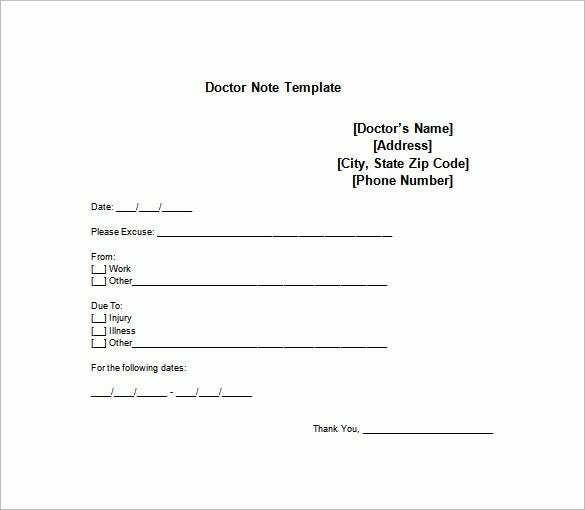 A Medical Doctor Note Template is a free PDF, excel or word sample layout built to help users get their letters written fast. 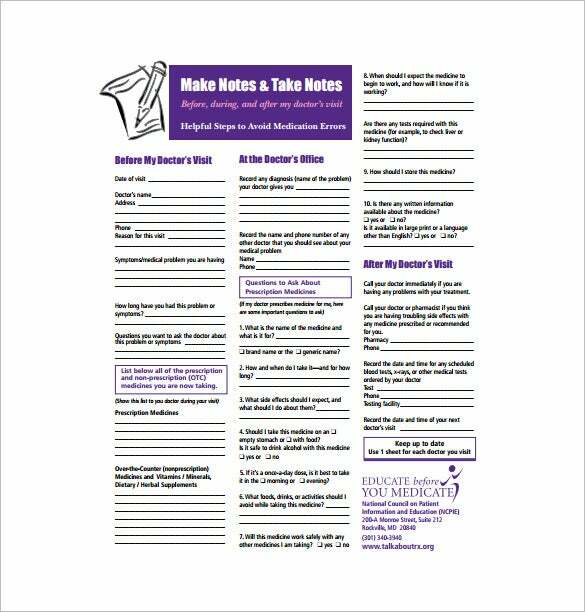 Doctors mostly use Doctors Note Template for Work, although you can download one, take it to your doctor and request them to use it a writing tool that makes work easier. 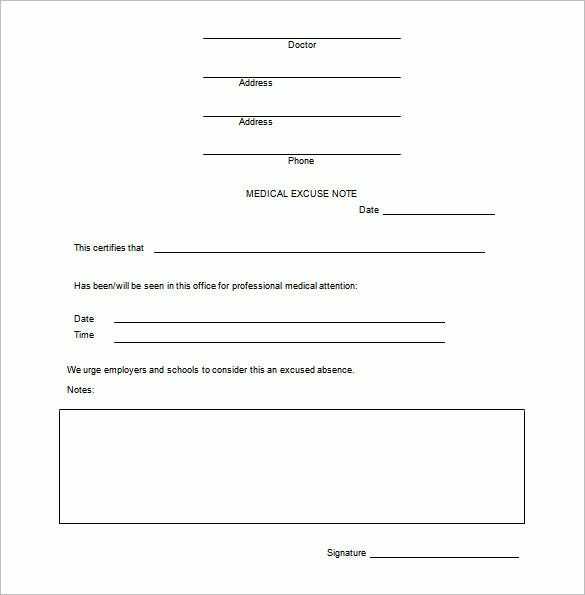 This not would be useful when you are requesting a leave from work citing a doctor’s appointment. The note will also inform the reader when you would be returning back to work. This note would be helpful when you are asked to present a note that will serve as the proof that you have actually got yourself checked in a clinic on a working day. The application even comes with an additional space for special notes. If you are planning to take a leave from your college classes citing fever, this is the perfect note for you. You have the entire letter written for you and you would just need to customize it with your typical details. 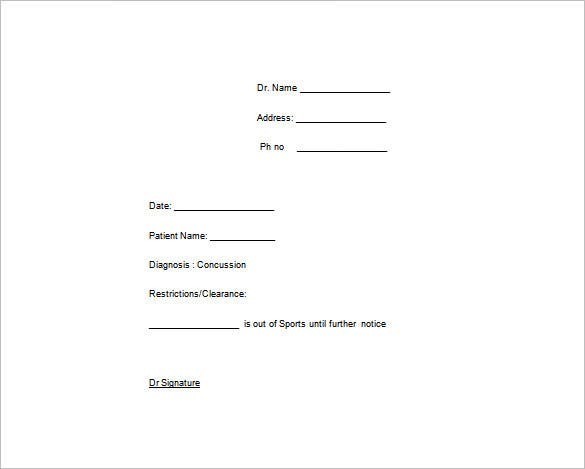 If you need a day or two off from your sports practice, this doctor’s note would be handy for you. 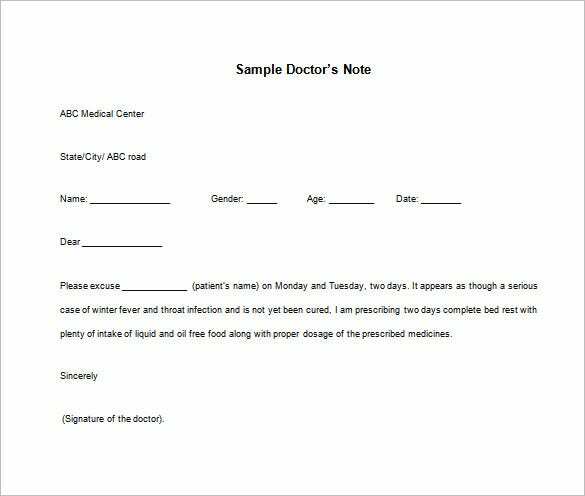 The note is very simple with just the primary details like the reason of doctor’s appointment, patient’s name, doctor’s name etc. 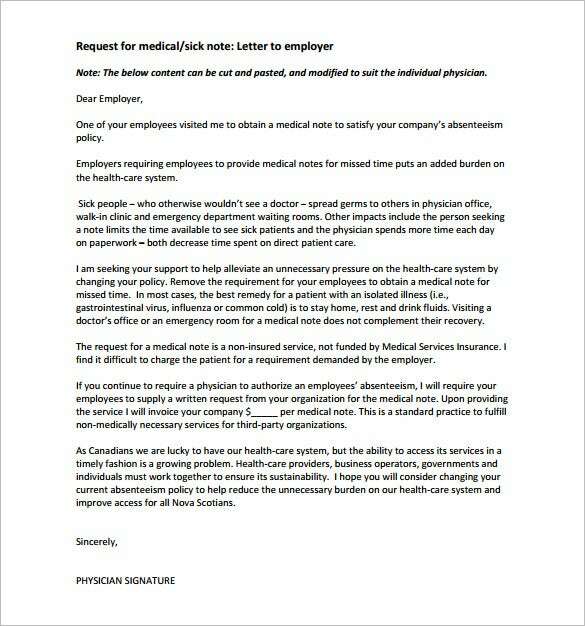 Medical doctor’s note, also called excuse note is a certificate that specifies the exact reason for absence of the employee or the student from his or her job or classes. 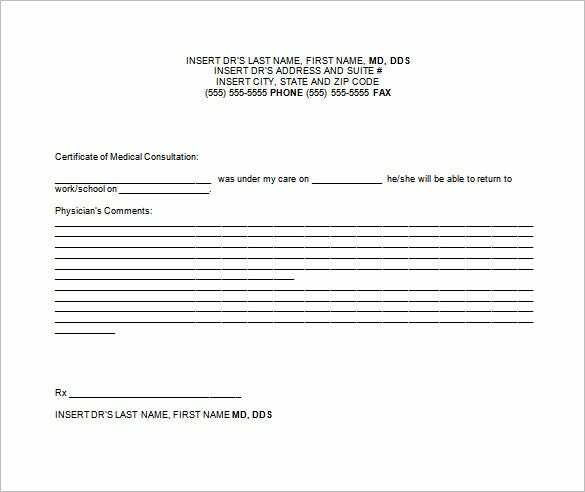 This is a legal document that is used as a proof of absence both by the absentee and the organization or the institute. 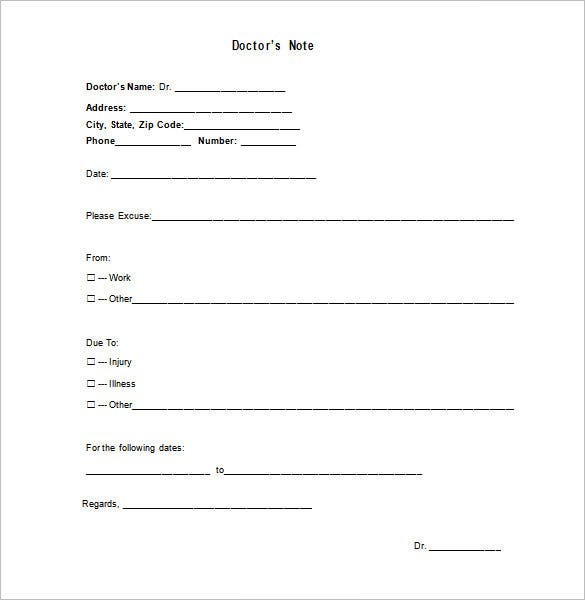 If you are looking for something simple yet just precise with your doctor’s note, this is the note for you. The note comes with categories for the reasons of illness & you would simply have to tick in the right box. 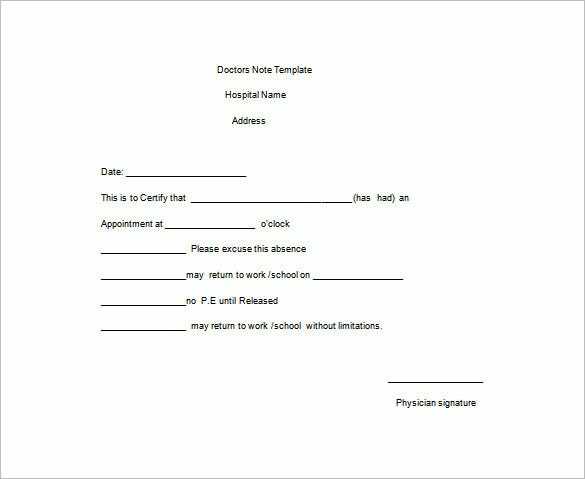 Writing this Doctor Note Templates can be quite tricky. So you have to be honest with your doctor, and explain why you need the note in the first place.